When an album makes its existence known via a paradoxical title, it goes without saying that what lay in store is atypical in some sense, and few paradoxes are more pronounced than a meditating man seeking higher enlightenment while at the bottom of the sea. Such is the imagery that is purveyed by Delfinia, a Ukrainian power metal project that can be best described as a continuation of sorts of the brief collaboration that Sunrise vocalist and Tony Kakko sound-alike Konstantin Naumenko had with W. Angel’s Conquest, featuring the aforementioned vocalist and former keyboardist of the same outfit Daria Naumenko (aka Lady Dea) as its two permanent parts. Though presenting itself as a collaborative endeavor featuring a wide array of musicians in a manner comparable to the recent spring of post-Avantasia projects including Aldaria, Valley Doom and Ancestral Dawn, this outfit comes off as more of a typical band as the revolving door of guest slots is relegated to guitar and bass, whereas most of the auspicious parts of this musical machine work are handled by its principle duo. True to its cryptic title, Deep Elevation offers up a more nuanced and contemplative take on a sub-genre of metal that is generally not known for either. In fairly similar fashion to most of the projects that Konstantin has associated with, the stylistic paradigm that manifests here leans heavily towards the keyboard-oriented, Stratovarius and Sonata Arctica end of the power metal spectrum. Be this as it may, this is an album is not the sort of high octane, full speed ahead affair that typified the seminal offerings out of said bands, but presents a more groove-oriented, atmospheric and subdued creature that could perhaps be likened to the latter band’s controversial 2007 experimental romp Unia, but minus the awkwardness and seemingly systematic avoidance of a cadence point. At times it takes on an almost progressive-like tinge not all that dissimilar to Pyramaze, owing perhaps in large part to the fact that Konstantin likely wrote most of this material and was a drummer before taking up the role of front man. The drums that adorn this album are programmed, but have a sense of life that captures the nuance of a human player and could likely fool the untrained ear, being catered to by a fairly rudimentary bass and rhythm guitar presence and all but supplanted by the generally dominant presentation of Daria’s keyboard work. This isn’t necessarily to say that this entire album is an entirely keyboard, drum and vocally driven affair, as the massive collection of guest guitar extra-ordinaries features here weren’t brought in for the joy of banging out a few power chords. All the same, the guitar solo points prove to be the lone points of technical intrigue to be found on here, turning otherwise stripped down, mid-paced anthems such as “Loneliness” and “Do You Remember” into shred extravaganzas, while giving a little extra push to one of the album’s more ambitious semi-cruisers “The World Of Dream”. Between Roland Grapow’s highly expressive and screaming runs, Olaf Thorsen’s flowing streams of notes and Krzysztof Gunsen’s frenetic fret board gymnastics, it is all but impossible to choose a clear winner within the trifecta, yet each one spares no effort in keeping their offerings highly distinct from one another. All the same, the colossal bone that this album throws to the guitar shred community is accompanied from some well polished songwriting and an exemplary vocal performance, with such highly catchy anthems of melancholy and sentimentality as “The Brightest Days” and “The Fate” there to please the hook enthusiasts, and a highly involved epic masterpiece in “Call Of The Wind” to sate those with loftier appetites. The final word on this album is one that carries most of the cinematic qualities that many of come to expect from keyboard-driven power metal since the late 1990s, spearheaded by a massive overture of a self-titled prelude that takes a few cues from film score composer Hans Zimmer in the same fashion that Pyramaze has done of late, and culminating in more than 50 minutes of highly involved yet accessible songwriting. It has a symphonic gloss, yet doesn’t dwell upon it to the point of becoming symphonic metal, and likewise has a progressive flavor while not fully jumping down the prog metal rabbit hole. It’s most distinctive feature is that it leans a bit heavier on the atmospheric aesthetic rather than the more impact-based approach that power metal is more commonly known for, while containing plenty of high-impact moments. It’s just sort of off in its own little world, much like the meditating guru on his inward journey at the ocean’s floor that adorns its cover, penning stories of love and nostalgia that are dreamy enough for Nightwish, yet also mundane and pronounced enough for Sonata Arctica. It’s an album that underscores Konstantin’s affinity with the Finnish sound, all the while keeping its own unique character by playing with the formula enough to embody all of said scene’s many parts rather than just one. 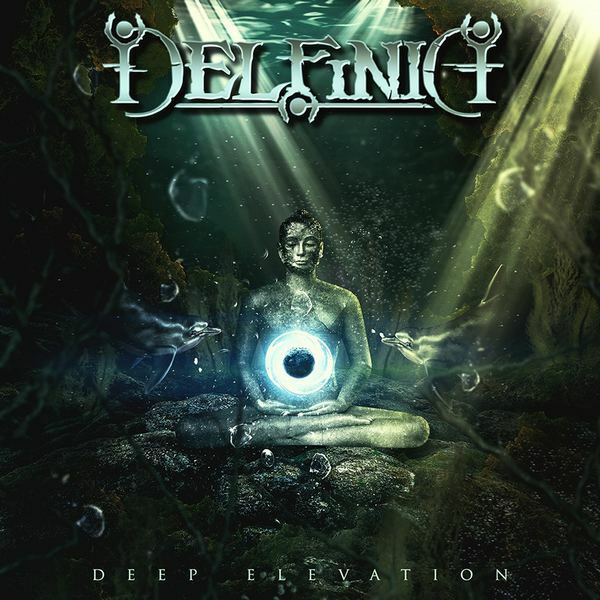 This entry was posted in Power Metal, Reviews and tagged 2019, Aerendir, Aldo Lonobile, Conquest, Deep Elevation, Delfinia, Olaf Thorsen, power metal, pyramaze, Roland Grapow, Ross VC Thompson, Sunrise, ukraine.